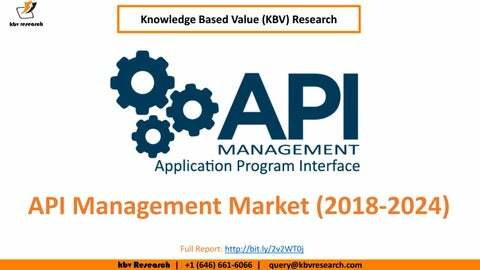 Market Dynamics - API Management Market The Global API Management Market size is expected to reach $6.2 billion by 2024, rising at a market growth of 28.4% CAGR during the forecast period. An effective API management solution controls the usage of APIs to open the data of enterprises or a system in a way that it can also be utilized by other parts of the organization or by third-party organizations in expedient and innovative ways. API Management provides a convenient, resourceful and effective experience in the development of societies who use these APIs. 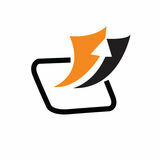 Furthermore, API management provides a life-cycle framework and governance for the APIs. Progressions in the Internet of Things & Big Data, benefits of cost and feature, and the growing requirement for managing API traffic are projected to collectively shape the API managements market over the analysis period. A STEP TOWARDS INNOVATION OVERVIEW Knowledge Based Value Research is a global brand and consulting firm serving all kinds of business verticals, government and non-governmental organizations, and not-for-profit organizations. Our motto is to extend our services that will have a lasting impact on our clients who trust us with their business goals.